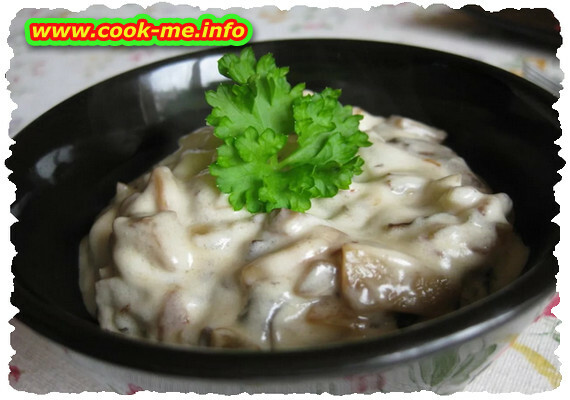 A delicious white sauce for steaks , very hearty. Easy to cook ready in 30 minutes. Chop the onion and fry it in olive oil, then cut the mushrooms and add them over the onion. Add salt and pepper by taste. After the mushrooms are fried, add the sour cream then let it start boil. After 3 minutes add parmesan , mix well and after another 2 minutes turn off the heat. This mushroom sauce with sour cream is served with steak.